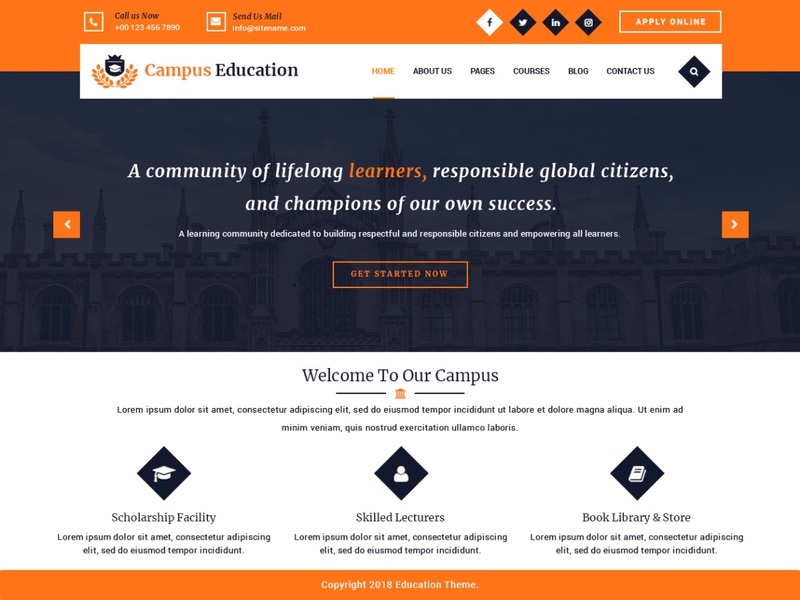 Campus Education is a visually appealing, engaging and informative education WordPress theme for high schools, colleges, campuses, universities, coaching centers, e-learning portals, teaching academies, secondary schools, and other LMS. With profound customization, you can change the look of the site to make it the best fit for kindergartens, preschools, daycare centers, and primary schools. The theme is responsive, translation ready and cross-browser compatible. Banners and sliders can be used to make it more impacting. This education WordPress theme has proper placement of a call to action buttons to invoke visitors to take actions in your favor. Social media icons can help you link to maximum people in just a few clicks. A standard design pattern is followed to make it SEO ready. Built on Bootstrap framework, it encourages easy usage of the theme. Customization is its powerful tool that can change the look and feel of the website.